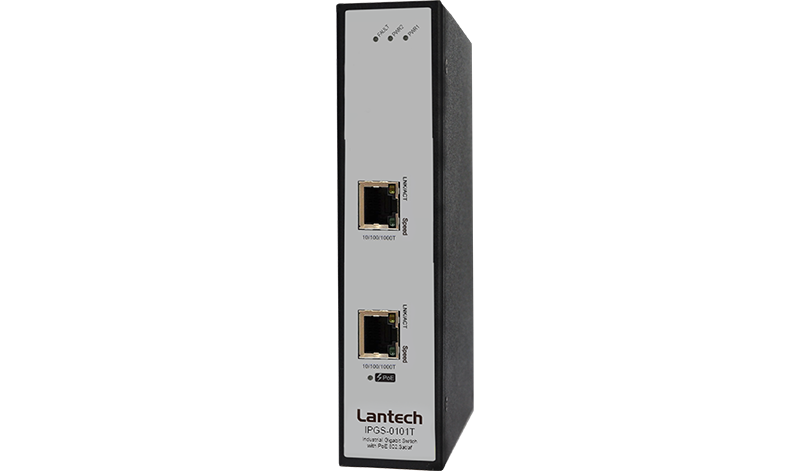 The Lantech IPGS-0101T is an Industrial high power PoE Gigabit Switch that can feed up to 30W over 2 pairs under 802.3at/af standard. Lantech IPGS-0101T is fully compliant with IEEE 802.3at/af standard. The 12V model can take 9.5~57VDC input voltage for PoE feeding up to 30W which is suitable for vehicle application. 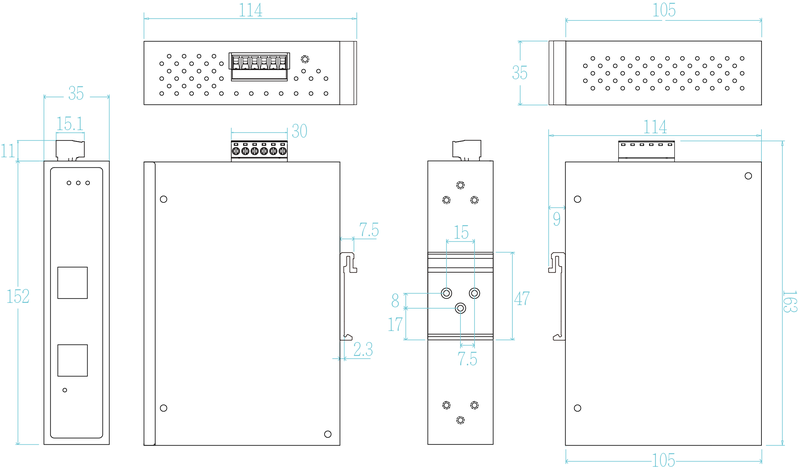 Lantech IPGS-0101T is the best industrial PoE Gigabit Switch for outdoor IP CAM, PTZ, heater, wireless AP etc. Provides one relay output for power fail alarm.